Doorbell Cameras with FTP Access: Does this Even Exist? With the best home security system, there are plenty of options for the homeowner to enjoy and appreciate. One of these is having a doorbell camera, so they can see who is at the door before they open it. Additionally, these cameras can be used through smart phone apps, allowing people who are away from home to “answer” the door through the speakers and let the person know they can’t come to the door at the moment — without having to say that they aren’t home. But some of these doorbell cameras have more options than others. When they are given FTP access, for example, they can really give even more to the homeowners who use them. Protecting life and property is a very significant part of owning a home, and a security company that helps homeowners do that often uses doorbell cameras as a big part of that. What is FTP Access for a Doorbell? In short, files have to be properly recorded and stored, and then moved to another device so they can be used for further information. Fortunately, this can be done — but not that many doorbell cameras offer this option to homeowners. 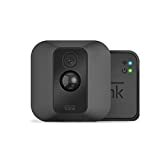 If this is important (and it should be), than homeowners will want to focus on finding a doorbell camera that can offer this. The right security system means not just getting people to leave if they aren’t welcome, but making sure that anyone who does break in or cause a problem is recorded, so that proof can be handed to the proper authorities. When a doorbell camera records information, and that information can be sent to the right people, it’s much easier for the homeowner to feel as though they’re getting enough security for the money they’re being asked to spend. That’s a great way to add to their peace of mind, and to also reduce their risk of crime. The more homeowners have these kinds of doorbell cameras, the higher the chance that crime will be reduced in their neighborhood. 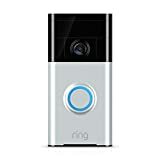 Many doorbell cameras allow the homeowner to see who’s at the door even when they aren’t home, but they can’t record the interaction. In order to do that, they would need a separate security camera — and there’s generally no audio at all. Doorbell cameras with FTP access, though, are slowly starting to change the game. The recording and transfer of files makes a difference, and that difference can really change the game for people who are interested in protecting their home at a higher level than ever before. It’s no guarantee that someone won’t still try to break in, but it gives homeowners another level of protection and also helps catch anyone who decides to try to force entry into the home.